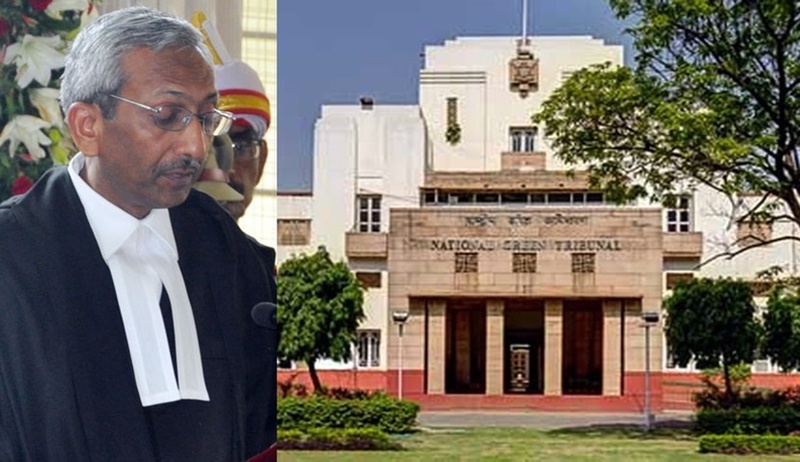 Justice Adarsh Kumar Goel, who retires from the Supreme Court Today, will be the next Chairman of National Green Tribunal. Born on July 7, 1953 at Hissar, Haryana. He did his B.A. (Hons.) and LL.B. from the Punjab University, Chandigarh. He was enrolled as an Advocate with the Bar Council of Punjab and Haryana on July 16, 1974. He practised before the High Court of Punjab and Haryana for about five years and before the Supreme Court of India and Delhi High Court for about 22 years. Designated as Senior Advocate by the Supreme Court on February 11, 1999. He was elevated as Judge of the Punjab and Haryana High Court on July 2, 2001. Appointed as Executive Chairman, Haryana State Legal Services Authority on May 17, 2005. He was the Chief Justice (Acting) of the Punjab and Haryana High Court from May 2, 2011 till he joined as the Senior most Judge of the Gauhati High Court on September 12, 2011. Sworn in as Chief Justice of the Gauhati High Court on December 20, 2011. Sworn in as Chief Justice of the Orissa High Court on October 12, 2013 on transfer. Elevated as Judge of Supreme Court and assumed charge on July 7, 2014.